First Babe Appearing watched by " Ghosts " of Others in the background! As we are moving this week I will be offline while I set up my new studio this weekend. My new cottage has an owl house so we are hoping to have new tenants in it in the future. I have replied to as many emails as I can before the move and as soon as I am back online you will hear from me if you haven't already! The last twelve months have been really exciting in my art journey but each week now something even more wonderful seems to happen. I feel as though I am part of an amazing chain of events that are almost too good to be true. 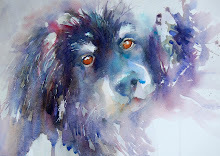 I am known for painting from my heart and my passion for watercolour . By simply doing what I enjoy is bringing me so much pleasure. 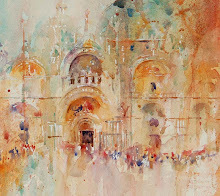 Last weekend I submitted paintings for the SWA.Society of Women Artists Annual Exhibition. I was thrilled to hear my work has been accepted and that I am now a full member which is a huge honour. I had submitted work to the SWA for the first time in 2009 and won the Anthony J Lester Art Critic Award for my collection of cockerels. This year I was torn because my cockerels are now leading me into wonderful opportunities in so many directions including galleries and charities. 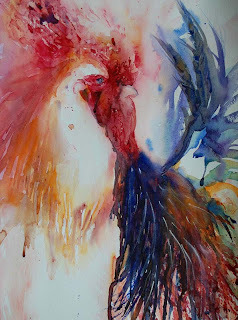 Two special cockerel paintings will be in Auctions in London this year to help raise funds for some wonderful children. But when it came to deciding which six paintings and which six subjects I should submit this year to the SWA my heart was really torn. I wanted to show my versatility as an artist and yet I felt safer if I was putting putting six cockerels forward. Right up until the very last minute I was still unsure of which paintings to choose . However I made the decision and my choice can be seen at the Mall Galleries this July. This is where you will find out if it was cockerels or not! This is an amazingly inspirational exhibition with a huge variety of styles and subjects in all mediums so definitely one not to be missed! 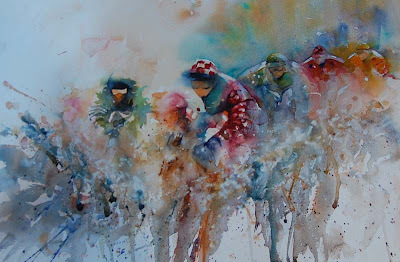 On another note I have sold out of my racing scenes and will be working on a new collection shortly. In truth I have sold out of many of my favourite subjects at the moment. 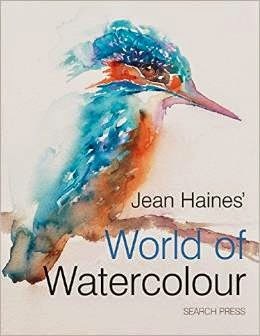 As my original paintings are limited in several galleries it is a sheer joy knowing the passion I hold for watercolour is enjoyed which in turn really is a wonderful nudge for my enthusiasm to keep picking up my brushes. But I will still always paint what my heart tells me to paint. It is who I am and to change now I feel could affect my free style and technique. And I love that no one knows what to expect next from me. It adds to the excitement. Thank you so much to everyone who has let me know personally how much you are enjoying my blog. I keep meeting people or receiving emails with such lovely comments. I tend to type and then press send not imagining anyone is actually going to really read my post or look at my blog. And then I hear such touching and incredible feedback that really inspires me to share more. Thank you SO much,because of people like you I do share and will always continue to do so. 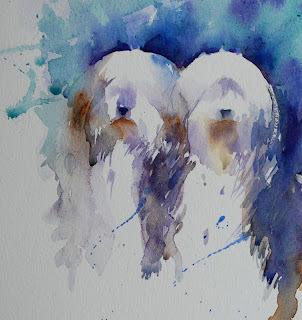 What started out as a simple first wash in watercolour and initial thought aimed to create one baby owl soon turned into a group of three and I can sense the addition of a fouth appearing in the lower foreground. That is the sheer joy of working in this technique. You may think you know where you are going but until you arrive you are never really sure. In my mind I had envisaged one baby owl in a fabulous background. 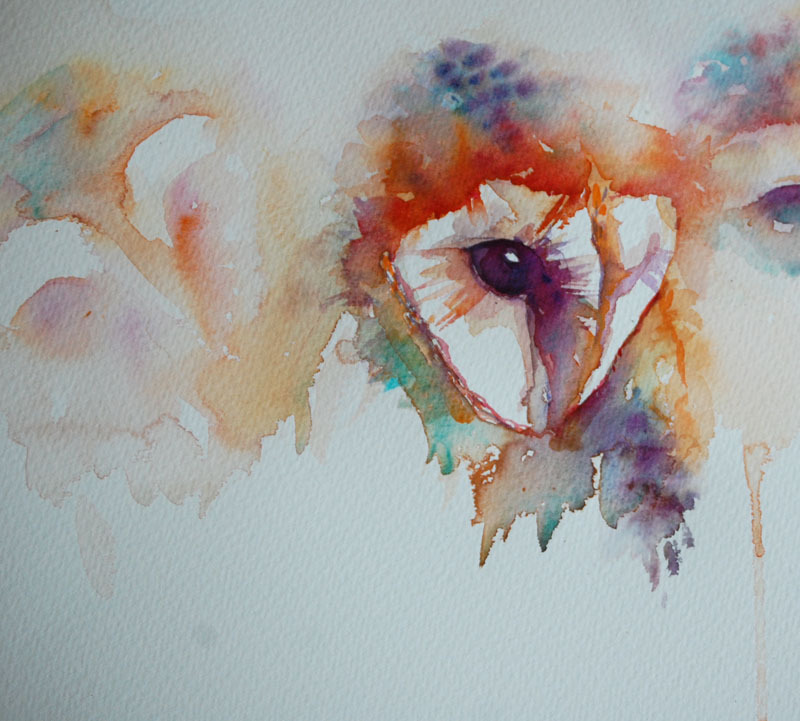 But then I continued to add " eyes" and got carried away. Now I am sat looking at this scene and can easily see a whole series of paintings emerging from this one. I have had such an exciting week which has been full of good news after good news. Maybe this is the magic that is flowing into my work lately but I am so very happy! 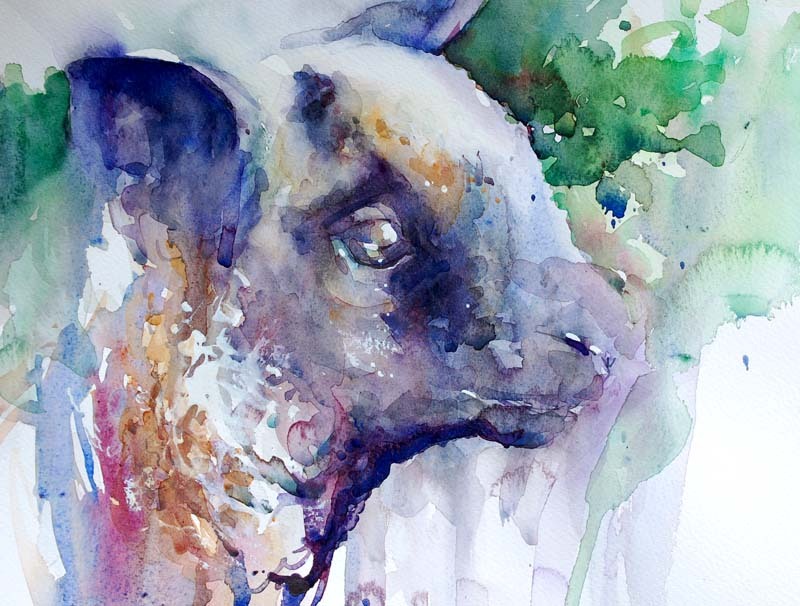 For a few seconds yesterday I allowed the world to stand still as I stood in my garden and listened to the sounds of the sheep and lambs in nearby fields. This year every single morning on my walks I have passed field after field of young lambs literally bouncing around as young do enjoying life to the full and making everyone who sees them feel young too. It is impossible not to smile whilst watching them play. The older sheep look on with disinterest. Almost with the expression of " You'll learn" on their faces. I learn so much from these daily walks with my dogs and cannot help wondering if the older more seasoned artist often looks on at the new enthusiastic watercolourists in the same way.With a wise smile knowing all the experiences they will face. Knowing how in time they too will look at others younger than they in their art journey and smile with their own knowledge of years of exhibiting, teaching or writing. I am like the young lamb. 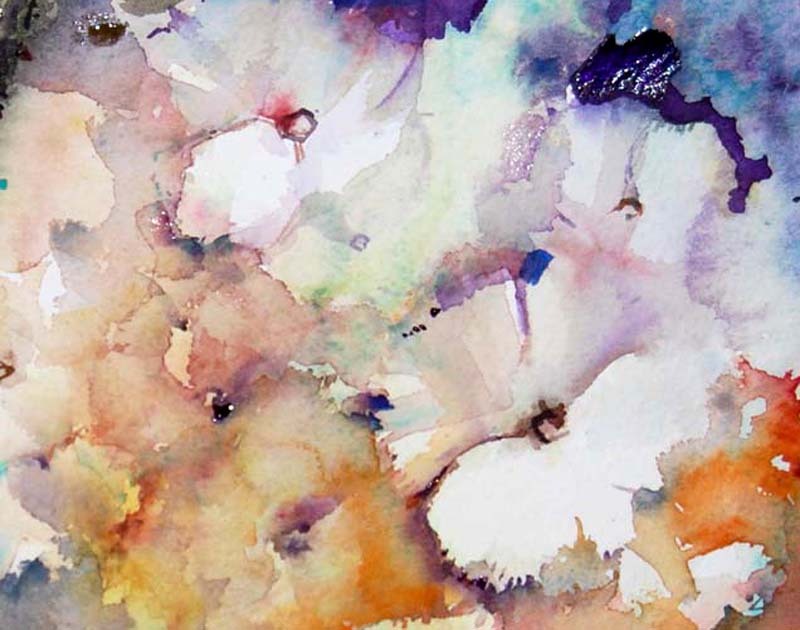 Bouncing around with endless energy, embracing every new experience with open arms, always thrilled to see something new to paint and always on the search for that extra special new way to paint it. 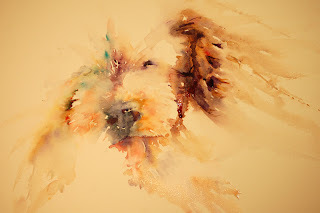 My enthusiasm must seem really amusing at times yet I am constantly told that I am a breath of fresh air bursting into the art world with infectious joy and genuine excitement whenever I am showing, painting or demonstrating. 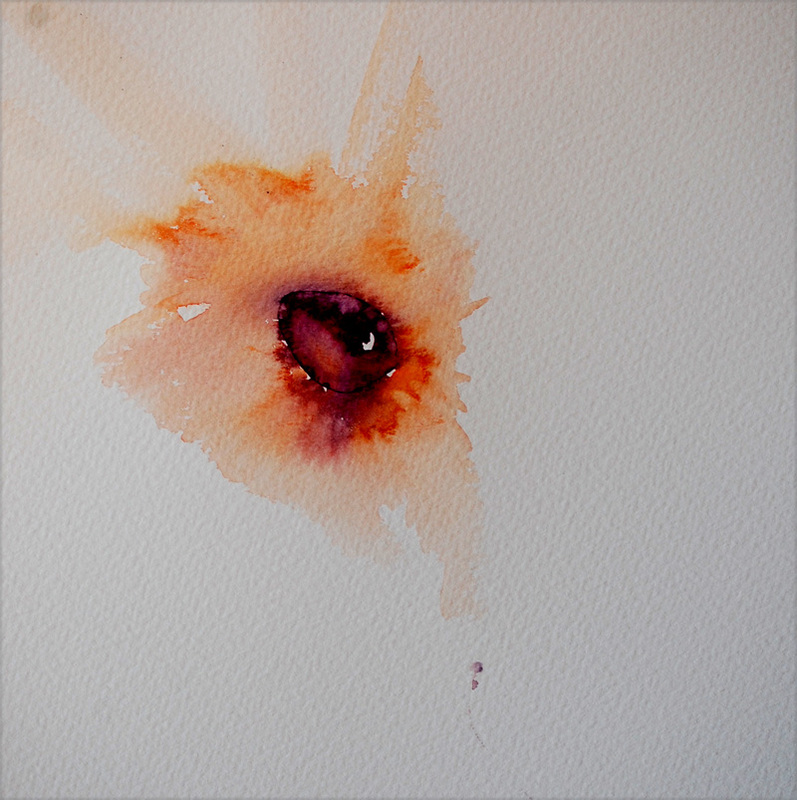 I hope my first book gives a clue as to how I feel about watercolour. Maybe one day in years to come I will be more like the older sheep but I hope not! 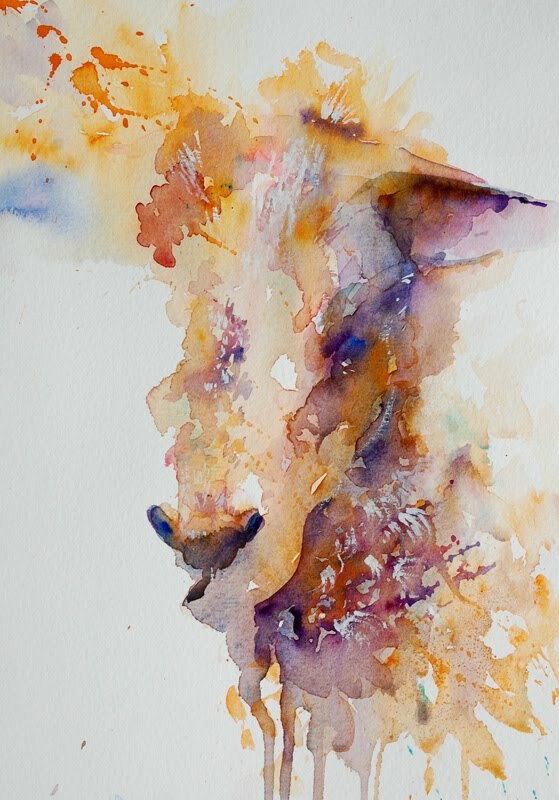 Spring Lamb coming to life in a first wash celebrating watermarks and colour fusions. I have a few places for workshops available on the following dates. I have two places available on the following two workshops due to unavoidable cancellations. 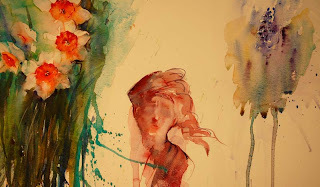 June 1st Watercolours With Life. The popular one day session working minus a preliminary sketch to capture the essence of a wide range of subjects. June 2nd Animals Only. A great day looking at ways to bring animals to life in watercolour using a variety of interesting techniques. September 2nd Autumn Gold A one day session looking at beautiful gold subjects which aren't always Autumn related! 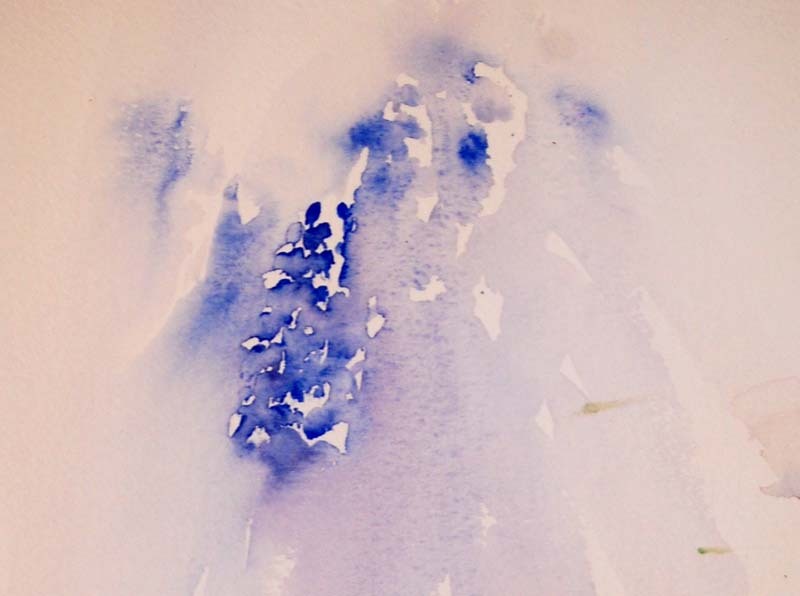 Surprises in store as we explore texture and new appraoches to working in watercolour. One place available. 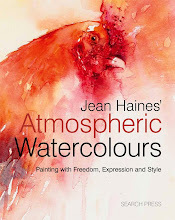 October 26th Watercolours With Life With a Difference. This workshop will be looking at backgrounds, compositions and ways to add drama and excitement to what could otherwise be seen as a boring subject. You will be required to bring extra materials with you for this session and a list will be provided nearer the date. At present there are a few places still available. 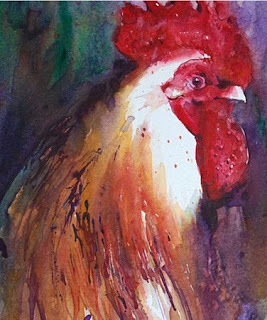 I know there are many regulars who adore my Spring workshops and look forward to the dates being posted. To be fair to everyone who wishes to come I will post them on my blog and web site in September and there will be a few surprises as I am hoping to hold an art event at this time also which will be a three day event. There are some wonderful new sessions next year so watch this space for more details when dates are ready to be announced! 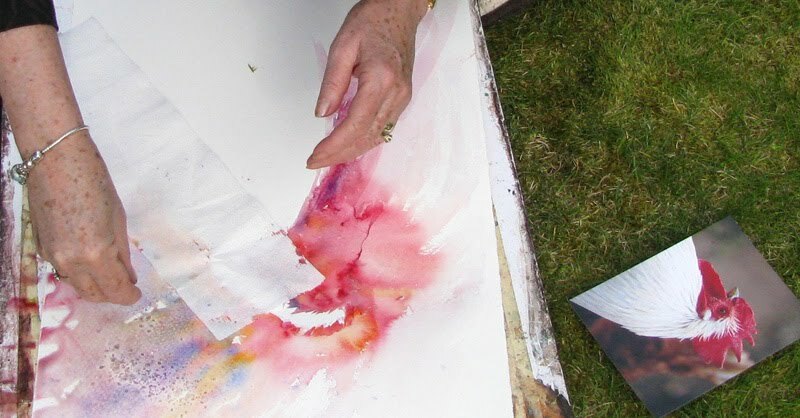 If you are a professional artist looking for inspiration I am considering hosting "Artists Retreat 2011" next year for a variety of mediums including demonstrations by top artists during a weeks period which will include painting on location in local beauty spots, an inside venue, free time to explore Jane Austen countryside along with evenings out in charming English pubs ending the week with a painting day on the water. A welcome and leaving party are on the agenda. The aim is to refresh our painting and teaching batteries, inspire each other and have a break from professional life whilst absorbing an injection of energy into art. Places will be strictly limited for maximum enjoyment and everyone coming will have access to full privacy of being here. Life : A Work in Progress. I am smiling as I type the above words " Work in Progress". I feel as though my life is just that. A work in progress with so many changes happening along the way and many being really wonderful. 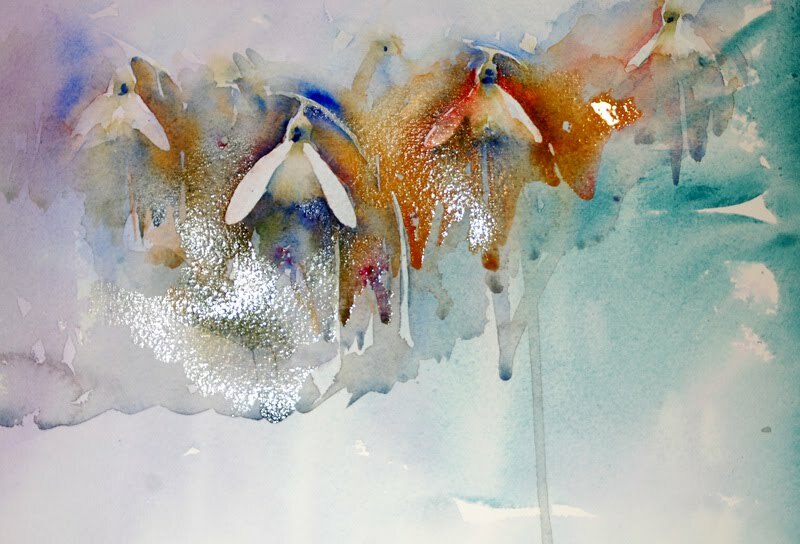 Over the last few months I have demonstrated so many snowdrop paintings in watercolour and to be fair I thought I was "snowdropped out ". But just when I think I never want to see another snowdrop again I find I have a yearning to do the unexpected and paint yet another one. Or even more. With this magical medium you can never be bored of any given subject and in turn this effects how I live in that I am never bored of any one thing. I see every moment as a wonderful opportunity to improve not only my painting but also enrich my life. These snowdrops brought me peace in a busy week. How incredible that we can simply relax by painting something we love. 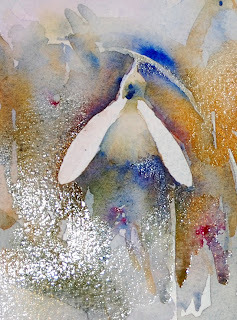 Simple Snowdrop painted minus the use of a preliminary sketch,masking fluid or goauche. Having delivered a new collection of cockerels to one gallery that had sold out I have started on the next but felt I needed a small break from my usual style. I have also been invited to take a Pastel Workshop in June so in the piece above I have combined my two favourite mediums. I enjoyed it so much that my future workshops could include one called " Anything Goes" where everyone simply has a ball creating with a variety of mixed media techniques. I have been asked to hold this for quite some time so when I have a free date I will announce when it will take place and where but be warned,you really need to bring absolutely EVERYTHING to this one! Good News Follows Good News! It has been another incredible week but I am beginning to believe my whole life leaps from one fantastic day to the next. 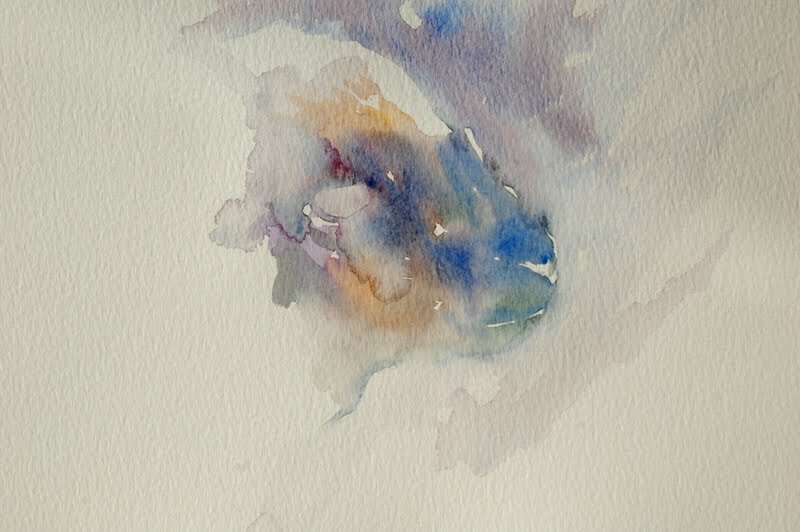 Maybe the Spring air is affecting my brushstrokes or the wonderfully positive friends I know along with artists who share my enthusiasm for watercolour. But I really am having the most exceptional of years and to think it is only April! I had wonderful news at the beginning of this week which I will share at a later date. Whenever something wonderful happens it always takes me some time to allow it to sink in before I wish to tell anyone else! A little while ago I took a collection of my paintings to a new gallery. We discussed pricing and framing options and I left feeling positive about leaving my paintings in such responsible hands. However the very same day I was surprised to recieve a phone call letting me know my work had already sold. I luckily had paintings in my studio to deliver to the gallery in their place. This has happened to me before when I have taken work into new galleries and it is a wonderful feeling. Since then the gallery has now moved to the new larger premises. On my visit yesterday I discovered most of the paintings from my new collection taken in only last week had been sold yet again. I am thrilled for the gallery owner more than anything else because they are such an amazing person. I am over the moon for their success. Having said that at this time of typing I realise there are very few of my originals available at the moment as they seem to have all sold and maybe too well recently. I am receiving requests for my best selling subjects and I know if I painted continually I could meet demand but this is not how I work. I paint from my heart and not purely for sales. I paint subjects as I wish to paint them, when I wish to paint them and these are then taken to each of the galleries or exhibitions I show in. Each painting I create is of a subject that has called to my artists soul with emotion pouring into each and every brushstroke. 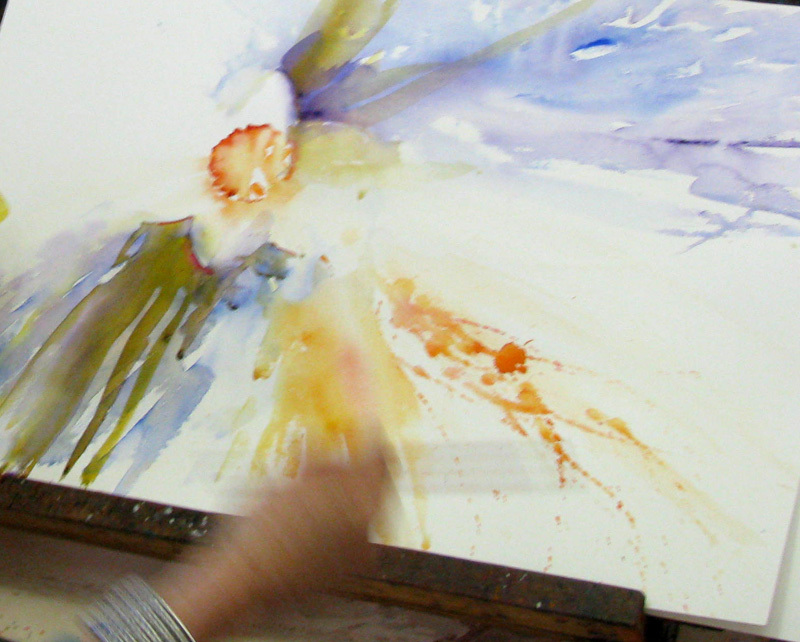 The relationship between myself as the creator and the finished piece is vital to my results. My excitement and sheer joy when everything comes together is the evidence of the magic of watercolour . Glowing glorious colours working in vibrant combinations. This Saturday I am returning to the new gallery with a collection of new cockerels and there are several clients waiting to see them. Tomorrow I am delivering racing scenes to London and in my studio I am working on a painting for a very wonderful celebrity along with a special charity auction piece for an event that will take place in London in May. My new subjects are under wraps until I share them when the collection is ready. My life is full and I am a very ecstatic artist at the moment and I think this is what is shining in my paintings lately. My zest and joy of life. I wish everyone could be as happy. That would really make me feel on top of the world because there is no point in having happiness unless others can feel it too. When I lived in Dubai I used to teach at the Dubai International Arts Centre which at that time was in a beautiful location by the beach. 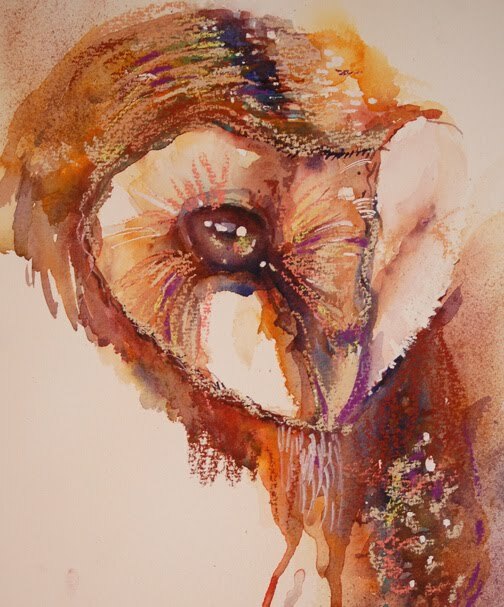 I came into teaching purely because artists on workshops I attended there were fascinated by my approach and requested I taught workshops and art courses. 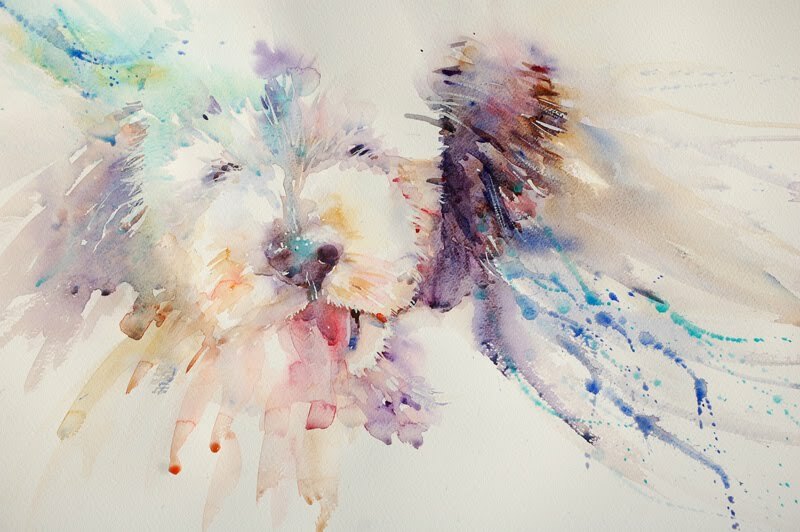 As I already had teaching qualifications I fell into the role quite easily and enjoyed sharing my passion for watercolours with so many wonderful people. As my techniques grew along with my knowledge for the medium so did my classes.In each class I could always be heard saying " I see a face" when I looked at first washes which to others could simply have been seen as mere " blobs" of colour. When I demonstrated at Yew Trees in Hampshire earlier this week the same thing happened. 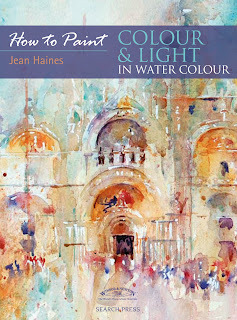 I was sharing ideas for starting a painting and also looking at how pigment works with water. 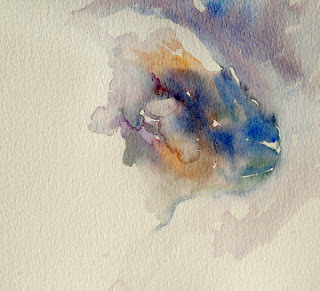 A small amount of two colours merged and as they dried I saw the impression of a very interesting face. Behind me the class thought the face looked like the Shroud of Turin. They too could see it. 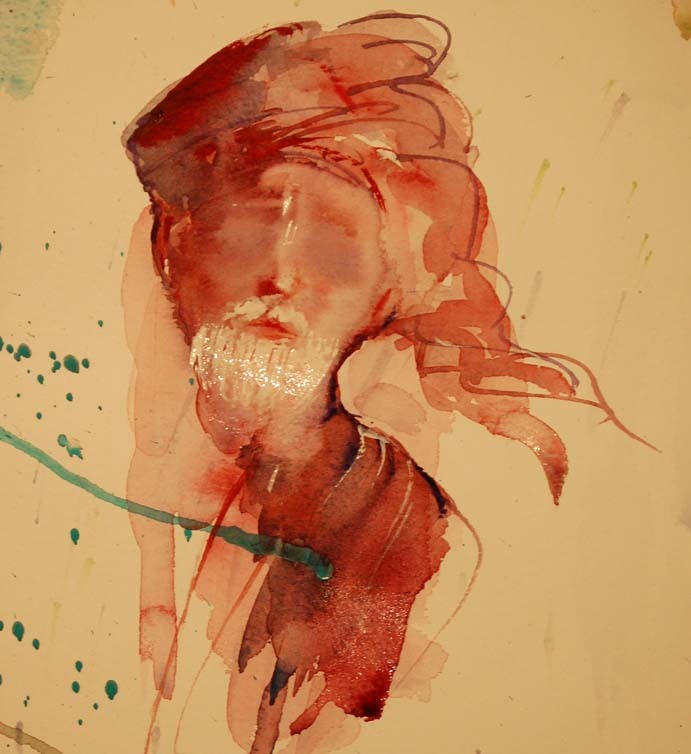 When I returned to my studio I added colour gently to where I saw the face appearing and a few details that I knew would bring the study to life so that I could share it on my blog and here it is. Face Appearing from a simple drop of colour demonstration. I couldn't resist the urge to age the gentleman so added a small white beard and moustache last night. I was returing to my time in Dubai by doing so and many happy memories flooded back to me. Seeing what is in front of your eyes and acting on it led me to painting this face. I love painting faces. I always have. My " Magic Faces" as they came to be known by in Dubai soon became collectible selling well in galleries and ending up in homes all over the world. I may continue with this face but he has inspired me to paint others. Maybe I needed a nudge in this direction as it is where my heart lies. I am listening to what my beloved medium is telling me. Out of interest maybe you would like to see exactly where the face first appeared from a smudge of colour. I was demonstrating how to start painting daffodils and muscari on a large piece of white paper. He " fell" into the middle. Mystery man appearing amongst a flower demonstration. I have a lovely reputation that when I take a workshop you never know exactly what will happen or what will appear. Even if you think you are only going to see animals or flowers! Taking advantage of what the medium throws our way rather than aiming to continually control it really is a wonderful way to work. This way magic can and DOES happen. 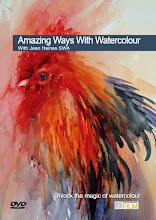 I have so many wonderful friends and artists who are letting me know they love my latest collection of watercolours. I am also being told my work is evolving so quickly but how is it that the difference is so great from a few years ago. In truth writing my book was the biggest surprise to my personal artist development. 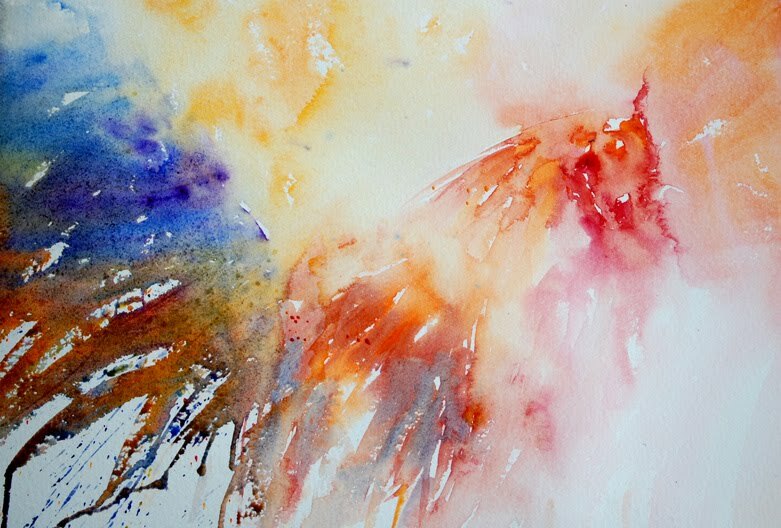 Closely studying exactly why I choose colour and individual techniques to create paintings full of life really has been an inspirational experience. I have read each section repeatedly. I understand my way of working and every single decision I make far more now than I ever have before. 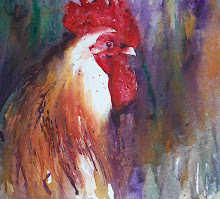 It was like being on my own workshops but having time to paint for myself rather than to continually demonstrate. One area that really helps is that I always paint subjects I have seen and I paint from life as much as possible. For example I have spent so much time on farms studying cockerels. Even though I am painting them in a more abstract style I still need to fully understand how they move,their poses and characters. Owls are fascinating me especially their eyes. So again I have been spending time just sat quietly studying them closely.Their feather formation is so beautiful and appeals to me as an artist as to how I can capture that incredible effect in watercolour. I truly believe you achieve more life in your results if you paint from life and know your subject well. Forget painting from photographs and study the real subject in wonderful light .This leads to far more exciting and unique results. 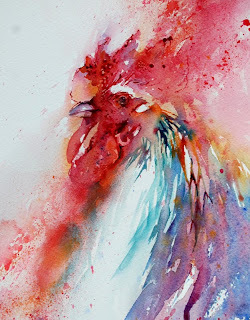 Yesterday I was invited to demonstrate for the Yew Trees Studio in Hampshire. I arrived to meet a wonderful group of artists in an envious setting of a private studio with wonderful natural light. I started the day with an introduction into my technique and a few simple demonstrations leading to a simple exercise for everyone to follow. 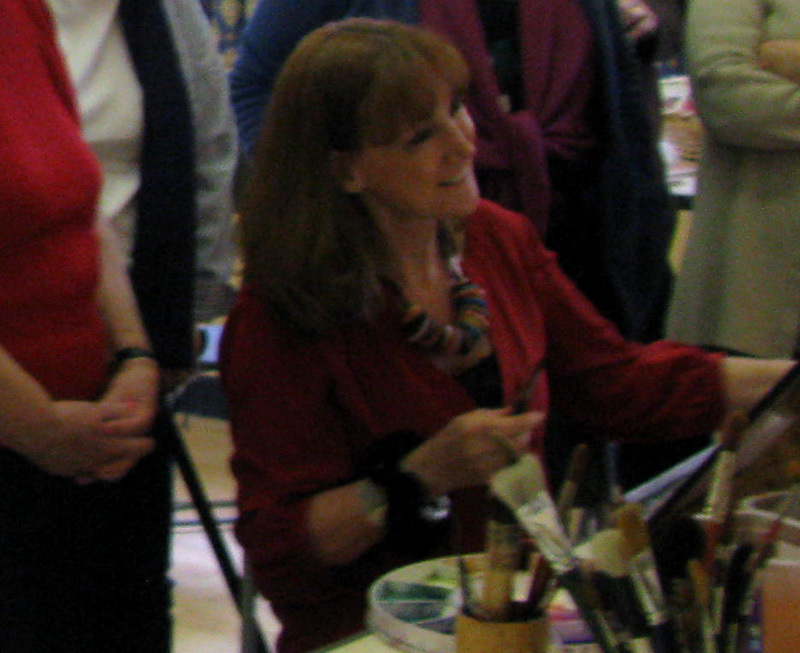 After lunch the group was then invited to paint a subject of their choice following a further demonstration. A black and white cat was chosen by several within the group and it was amazing to see how many different ways we all approach the same subject. The question of how to paint black arose and this leads me to explain I never use pure black in any of my paintings. I also never opt for Paynes Grey. 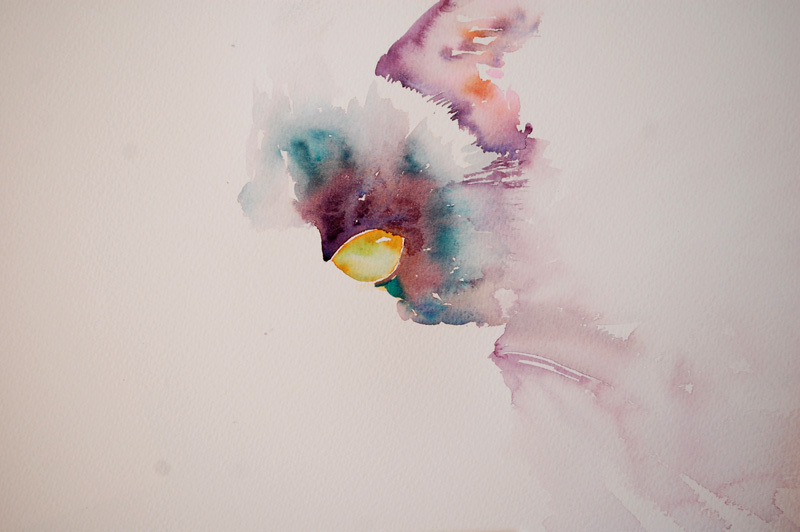 When I work I aim to create interesting colour combinations and capture light with every brushstroke. So my initial wash for the black and white cat included a variety of shades. Whilst I always ask everyone in my sessions to simplify. things are not always simply " black and white" . It may seem straight forward to mix a very dark colour to give the illusion of a black animal but if we were to achieve this perfectly our results could end up looking very boring. The question arises as to how we can make black sections in our work appear more fascinating and alive. If you study my demonstration above you can gain an insight into how I approach painting a dark subject and which colours I would choose to make it more effective. It really is rewarding to spend a few minutes working on scraps of paper mixing and achieving those darks in ways that really do add drama, intrique and excitement. Painting Tip of the Day: Paint with unexpected colour combinations and stay away from the "expected" boring shades everyone else chooses! Thank you very much to everyone at Yew Trees for the warm welcome and wonderful day yesterday. I look forward to meeting you all again in Summer. Please don't forget your homework! Before I started painting any subject I often used to paint a few marks on scraps of paper with a variety of colours to see what effects I could gain.This also helped to acheive a good closeness in colour accuracy. While my work is free and spontaneous I put a lot of thought into each new painting. An exercise I used to carry out before each new painting. As years have flown by time taken on these swatches has become less and less because I am coming to a point where my instincts are taking over . From experience I know intuitively which colours work well against others, how they interact and which should be used to gain more impact. Time taken to "play" over the years has rewarded me well as knowledge of colour really does make a huge difference to our results. Knowing exactly what each pigment is capable of is so vital to being a better artist.This leads me to question why so many new artists jump straight into painting a "masterpiece" and then wonder later why their finished works weren't as pleasing as they had expected them to be. My advise is to slow down and enjoy the beauty of colour. Play with it, understand it and enjoy it for all its diversity. I will be returning to Africa this year and I hope my experience in watercolour has grown to the point I will be able to capture more than the quick " blur" as in this very old painting of zebra. My favourite memory is being face to face with a giraffe that had wandered near a lodge. 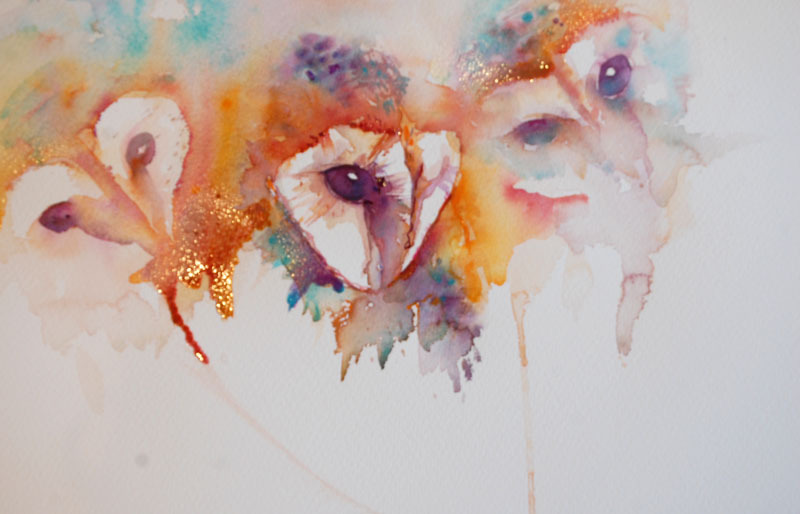 I can remember painting giraffes non stop at that point in my art life in the way I paint cockerels non stop today. 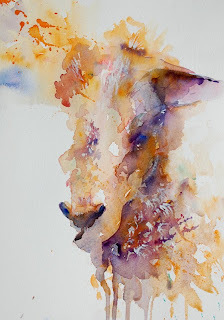 I painted camels all the time when we lived in Dubai. Maybe our surroundings do play a huge part in the way we see colour and how we fall in love with our subjects. When I look at these zebra I see how far I have come in my art journey and I also know how far I have to go! 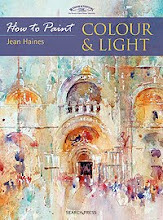 It does cover a wide variety of subjects and gives information into how I see colour and light and aim to capture it in my loose style. 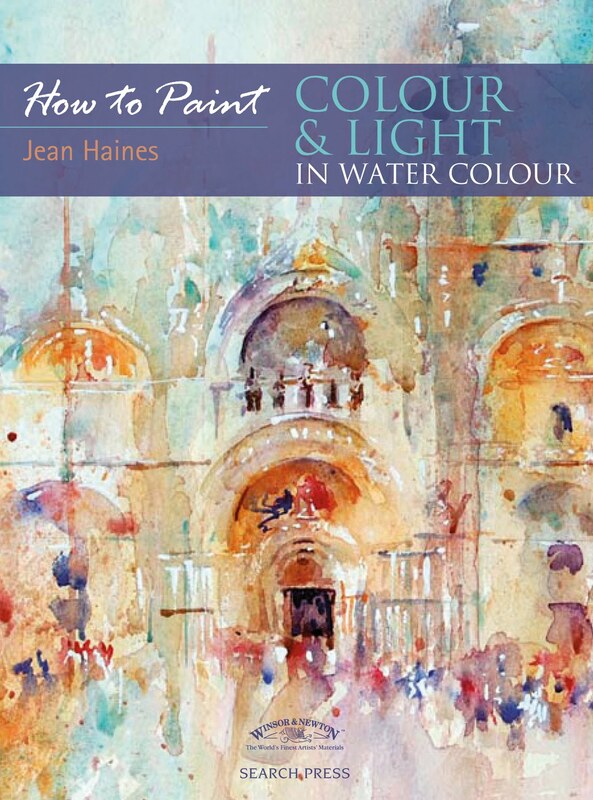 Step by steps are included with full details on the colours I have used in each. Thank you so much to everyone who has asked me about my book and like you, I too am really excited in seeing my first leap into being an author in print. Second Painting of the Same Subject. 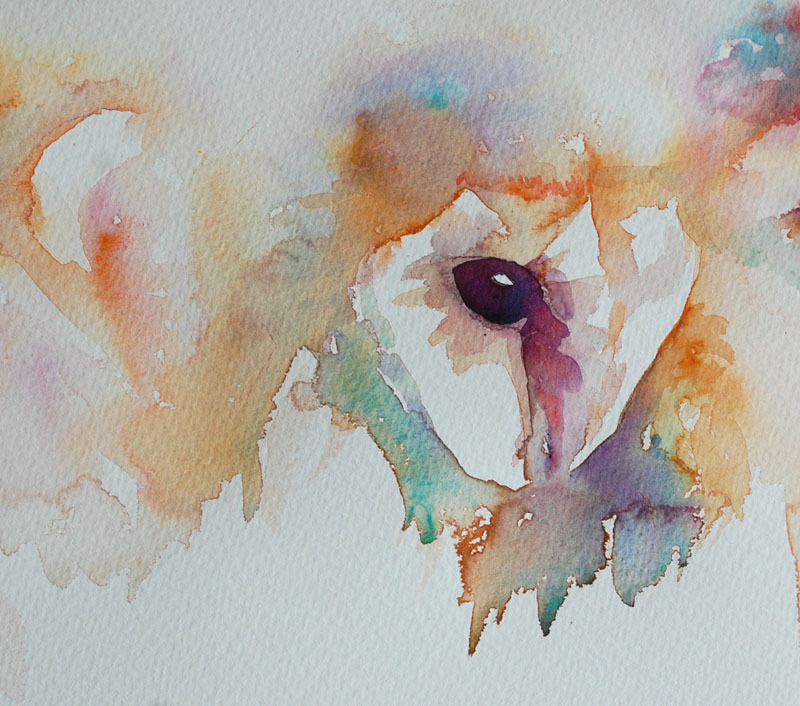 I have received some wonderful emails regarding my blog and I want to reply to everyone individually but as time is short this weekend and I have a demonstration tomorrow for an Art group I just want to leave a huge thank you here today . I read every message and some have completely touched my heart. I will continue to share, hopefully inspire and yes let you know about my book and my workshops. For anyone interested I have had a few cancellations which were unavoidable so I will add them here on Tuesday morning. On that note I am aware my workshops are difficult to get into but that is because I do keep the numbers small in each session so that everyone has a fantastic time. There are still places in Norway if anyone wishes to join me there in August as a wonderful group of people are going to be in these sessions. For now I simply want to wish everyone the most beautiful of days . Bear in mind whatever you feel or see that makes you smile inside often makes a fantastic painting. It is often the simple things that seem to be more effective like a smile, touch of breeze on a single flower or a peaceful sky. See colour around you and capture it in as many ways as possible. And I will be replying to you very soon if you have contacted me. I have six paintings in the 89th exhibition of the United Society of Artists which takes place in the Menier Gallery in London, UK from 13th-17th April 2010. I met Paddington on a visit to a local farm recently. He is such a happy pup who looks as though he is always chuckling. He will grow to be a huge dog but right now is simply an adorable bundle of fluff who I have aimed to capture in my brushstrokes. This morning I have founded Artists With Hearts. I have many friends who as artists help so many charities by their brushstrokes but I also know many people who never seem to have a reason to pick up a brush. When they do because they are painting minus a true purpose their work often ends up as an unsuccessful result. I also know many professional artists who are tired of painting landscapes or portraits and never have that " something" to paint just for fun or for someone special. There are so many ways as artists we could unite and help others who need the knowledge that someone out there cares. All of my life I have been blessed in that I always had a roof over my head and food to eat and most of all good health. And I have always felt that my passion for art is far more than gaining success, fame, awards, paintings in galleries or well read books. I want to DO something good with my art. Something that really matters.That makes a difference to someones day. . I know many artists like me have huge hearts but have nowhere for their love to shine. Now we have a special "place". Artists With Hearts will be a membership free foundation and I will share more news on this idea soon. It will regularly show where your love and gift of art is needed to lift someones spirits and help to make a difference. Iif you are reading this you are in at its birth. You don't have to be an artist who paints to join, you can also help in other ways too so please be a member. And when I say EVERYONE is welcome, I mean everyone. My Journey With PostPals Begins, Please join me. Last night I couldn't sleep for thinking about Postpals and how amazing that a young girl set it the organisation up to help other children. I also had read the postpal web site and as many faces of children tugged at my heart strings and I have made my mind up to become involved in the only way I know how. Via my paintbrush and I am begging not asking you to become involved too. I am starting my journey with postpals by sending a painting to Robyn, a little girl who is going through the most painful of treatment for Cancer in America. She loves animals,spongebob and the colour yellow. Not only is she being very brave but she is away from home.She looks far older than the pretty little seven year old that she is. Please look at Robyns story and see her photo. When I was little all I had to suffer was a mass of horrible ginger curly hair that shone bright orange in sunlight. I hated it but that was ALL I had to worry about. 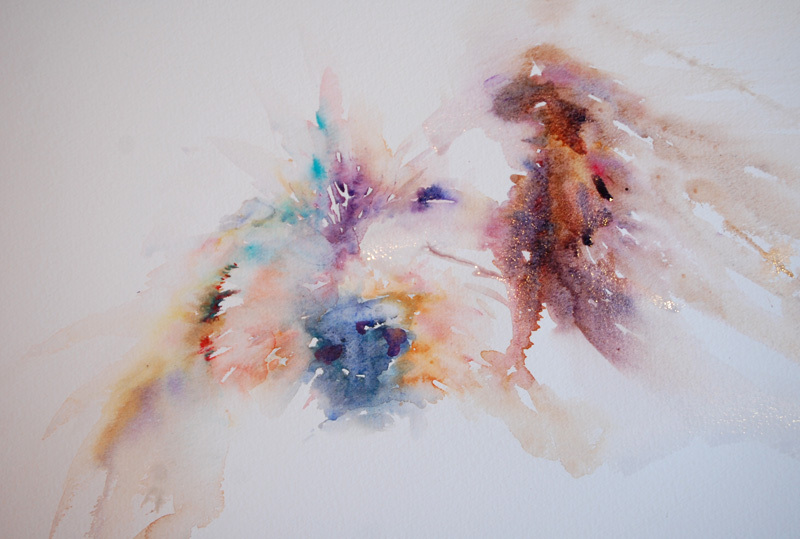 I had painted a new row of Bearded Collies for someone but it is going to Robyn instead. She needs the love support and kindness of artists hearts from all over the world as soon as possible. Robyn is a wonderful, cheeky, toothless 7 year old girl, who in May 2009 was diagnosed with Neuroblastoma. As with many children with this cancer, it had spread by the time she was diagnosed, so her diagnosis is known as stage 4 - high risk. Robyn has responded really well to her treatment and her primary tumour in her pelvis was removed successfully in September 2009. Robyn is very beautiful, inside and out, and extremely active. She used to enjoy gymnastic classes with her cousins, dancing, and would ride her bike for miles. She loves Harry Potter, High School Musical and Lady Gaga. She has a strange liking for mini coopers - in particular, yellow ones. She loves Spongebob, animals, and the colour yellow. She also loves dressing up and much to her mother’s disgust - applying make up! Robyn would dearly love and appreciate receiving a letter from anyone who could spare the time to brighten up her day. I speak for every parent of a child with cancer when I say they are the bravest, most beautiful beings to walk this earth." I am going to dedicate any step by steps I share on my blog to postpals, if you find them inspiring or you wish to join me and help chidlren who need smiles please send a painting or card when you can. Robyn is currently having treatment in America. Friends and family are frequently visiting so will take post out with them. I have long wondered how being online can unite artists in a way that we not only inspire each other but we also do so much more in the world. Now we can virtually hold hands and share brushstrokes to brighten a childs day and make a difference on their life. Please help me make Robyn smile in America.............and we can make many other chidren smile too together over time. Please link to this page so that others can see and help Robyn too........thank you. I will add more news on Artists With Hearts soon. We all can join and we ALL can make a difference. Put a Smile on a Childs Face. "Since setting up Post Pals I have won "Readers Digest Hero of the Year 2006" and "Beacon Award for Young Philanthropist 2008". I first got into voluntary work at the age of 5 when I helped my grandparents working for Rainbow Trust from the charity's early days. In 2002 I completed my 200 hours on the Millennium Volunteer scheme with AYME, at the time of setting up Post Pals I was also volunteering online for Brainfog and Patchworx (an American charity for seriously ill young people which has now closed). My main passions are keeping Post Pals going and raising awareness of severe ME "
How could anyone not pass this link on? I am sure there are many ways we could all help. Thank you to Jane for sending me a few images from last weeks Watercolours With Life workshops. The week flew by so quickly and I think I can safely say we all had a wonderful time. 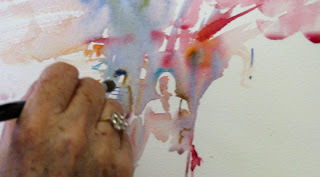 I should explain I never share photographs of anyone in my sessions without their direct permission so you will only see paintings.This makes everyone in the class feel far more comfortable with the focus purely on painting rather than who is doing what with a camera. I also ask for everyone to kindly not use cameras while the sessions are in progress as it can be really distracting to anyone who has come to watch and take in what is happening without the constant flash or interuptions needed to gain good shots. Even so it is lovely to have memories to share so here are a few images that Jane kindly took and I must admit I am fascinated to see myself in action as I rarely get that chance! This is from the Flowers,Flowers and More Flowers Workshop. We were looking at negative painting, varied brushstrokes, use of cool and warm colours and use of light. My hand obviously moves quickly from the action in this shot. The next image wasn't a demonstration to the class. I sat with individuals in an afternoon period of the second Watercolours With Life workshop last week showing how to paint a number of subjects so that everyone had something they could work from as an idea. This was a market scene in France with a figures walking in sunlight. The hint of how to start and work away from this point keeping clean fresh colour was the main objective of this very quick little study. Figures in a Market Scene in France, a quick study. At the end of a full week you can imagine how tired everyone was so the final relaxed painting day at my cottage for those who had travelled such a long way to see me was casual. I sat on the grass to avoid standing and painted freely. 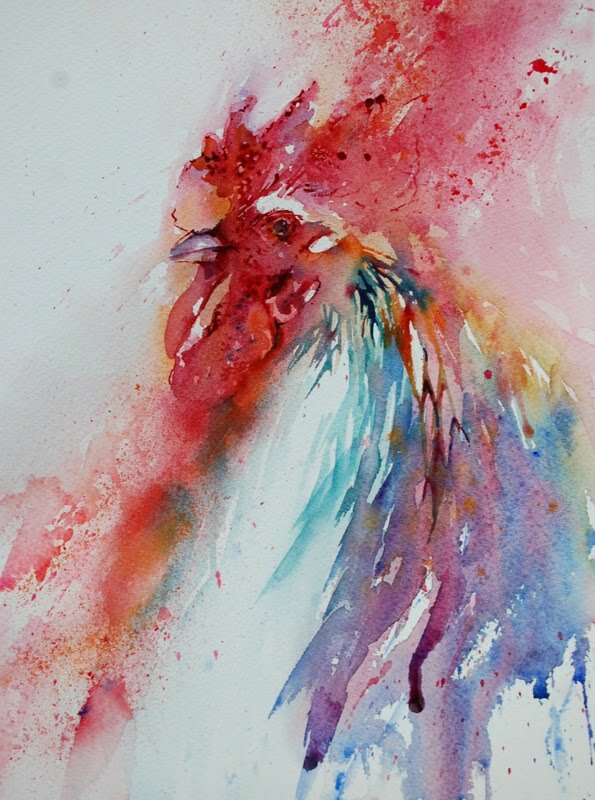 This cockerel was such a lovely way to unwind! You can see paper laid across a section to protect it from splattering which was taking place to create texture in the top corner of this piece.I was also sprinkling salt to show what it can do. It really was a fantastic week and I can't wait for next year to come around so we can repeat it but with even more excitement involved! A collection of watercolours from 2009 including a cockerel that was later framed and accepted into the SWA Society of Woment Artists 2009 Annual Exhibition. This time last year I can remember sitting on the floor in my studio and looking at six paintings that formed a collection which I intended to submit on the hand in day for the SWA 2009 Annual Exhibition. Several artists I already admired were members and I had read the details on the SWA web site regarding dates and information I needed to be aware of. You can find the details for this years exhibition via this link. Selecting work for any society really is a decision to be taken with great care. I knew I would be making my first impression with these pieces and I studied so many points about them. Did they really represent me and who I was as an artist at that time? I will be honest and admit I seriously was concerned about my subject choice.I paint portraits which have been commended and won prizes in the past so should I really consider this group of cockerels. But my instinct was screaming yes and so it was that I found myself carefully handing over the six required paintings on the handing in day. 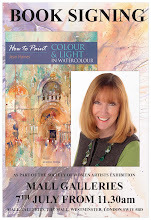 From the minute I arrived at the Mall Galleries on hand in day I was 100% impressed with everyone I met.. I was made to feel welcome, my work was treated with respect and great care and I left feeling how much it would mean to be to belong to such a professional group of artists. Then as everyone knows there is the agonizing wait to hear if your work has been accepted or not. I knew I had handed in what I felt was an interesting body of work but now the decision fell into the hands of a team of judges forming a panel to select what they felt were paintings worthy of being in an exhibition renowned for it's very high standard. In every exhibition there is only so much wall space and with hundreds of submissions to choose from only the best make it into the final selection. I already knew the professional standard of the work of artists I was hoping to be hung alongside. The following week I recieved a phone call from the President of the SWA. I heard how not four but all six of my paintings had been accepted and that I was being offered an Associate membership. At this point I probably should have acted calm and collected but I am sure my joy showed. I was absolutely thrilled and of course this meant I carried a signature after my name. One which I am proud to hold because of the history and professionalism of the SWA. I have never forgooten how the President took the time to make that personal call. I can't put into words how much it meant but it really played a huge part in how I think of the society which is professional from the smallest to largest of details. At the Private Preview I discovered I had been awarded with the Anthony J Lester Art Critic Award. After the presentation Anthony informed me my work reminded him of Joseph Crawhill which was a huge compliment. I look back and see what influence this award has had on my work. I strive to live up to the achievement and honour. 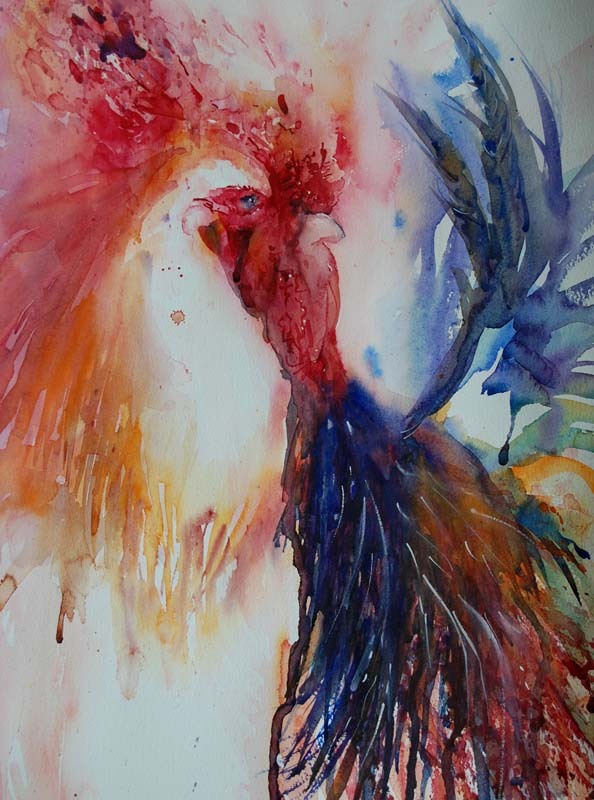 Winning Painting from the 2009 Cockerel Collection. I visited the Mall Galleries many times during the SWA 2009 exhibition, each time meeting friends or being made to feel welcome. I was inspired by every single artists work and fully understood the weight of responsibility on the judging panels shoulders to ensure that the exhibition was a huge success and it was. I left each time wanting to be in this years exhibition and trying to decide what I should submit. Everyone is expecting cockerels ! A year has passed and I need to make new decisions. What do I submit this year. In a weeks time I will go to London, hand in my chosen paintings and make the agonizing wait yet again to hear if I have had a painting accepted. Only then will I know I have made the right choice in my selection. Because of who I am and my personlity I completely understand many artists feeling they are not worthy or good enough to consider submitting work for top societies especially when there is the fear of rejection. 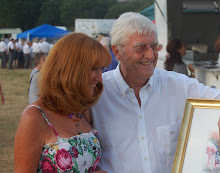 I also know there are many talented artists who rarely consider taking part in these prestigious events. I recommend looking at the SWA web site and viewing the work of the members which will give you a good indication as a measure as to whether your own work is suitable to submit or not. Bear in mind the exhibition is always varied in style and subject matter. You can submit up to six paintings so if you only have one you feel will showcase your style and talent that is also an option. Whether you submit or not I strongly recommend coming to the SWA Annual Exhibiton as it really is one of the best I have ever seen, full of amazing art and motivational on a very high level to create and to a high standard of professionalism. I now need to really focus on my own choices for this year and I will be making these decisions very carefully! These two words I hear all the time on my workshops or in emails. These two words are often followed with variants of the following. Anyone can paint anything at all, the only thing stopping you is YOU! With my technique I only see colour and patterns, not subjects. 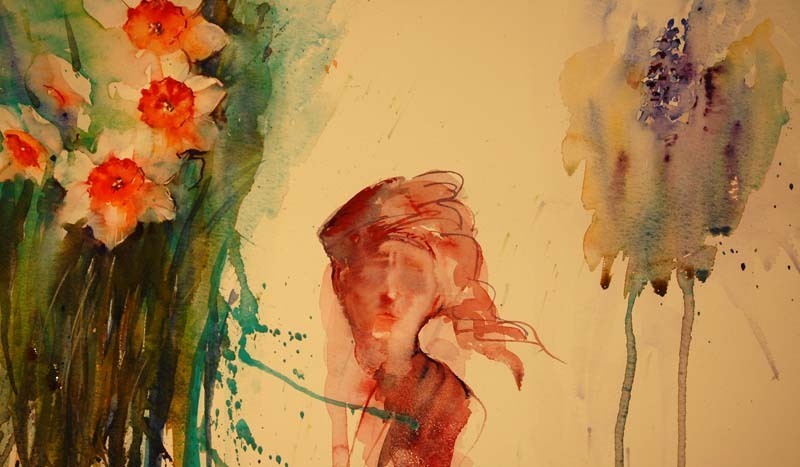 A face is painted in exactly the same way as a vase of flowers or a landscape. I paint light by working around it to emphasise it. And you can too if you want to. So if you are looking for a new technique or new subjects to paint I have some homework for you. Everything else will follow from there with a little push from me! This week has been amazing. I thought I would be able to catch up on my emails and administration from having spent all last week hosting my Watercolours With Life workshops here in U.K. However I seem to be inundated with wonderful requests for workshops abroad and exciting demonstration opportunities in U.K.
At the moment I am very well aware I need to focus on a collection of cockerels that are going to be raising funds for a very special charity that is dear to my heart which will help some incredible children. So this is why at the moment you see my facebook and blog absolutely covered with washes and paintings of some of my favourite subjects. In the background in my studio there are also racing scenes flying around, a few dog paintings and some childrens portraits which I have yet to share. If I took all the time I needed to describe my day I could wear myself out yet alone anyone reading my posts! I am not quite sure how I am juggling so much, a visit to the castle yesterday, a trip to the gallery two days running for work for exhibitions, framing decisions and writing. I also am quietly and calmly preparing for a move back into a cottage that we have spent the last twelve months renovating. It looks so beautiful and I know next years art events there are going to be so amazing. Professional landscape or floral artists will love it as a place to host workshops and artists of all levels will eventually find it a peaceful haven. 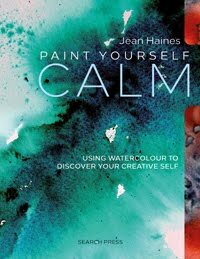 On that note I have some very exciting projects coming up and this morning I was approached regarding the possibility of an "Invitation Only" Watercolour Inspirational Centre Online by a professional organisation. This would involve monthly workshops with regular simple challenges to inspire and motivate. In all honesty I don't think I can take one more thing on but I know everyone who follows my style by workshops or online would love a place to share together paintings they have created where feedback from others inspires at every turn.. I will think about it! A Magical first wash full of life and energy via exciting brushstrokes. I have had yet another incredible day. Starting with a meeting at a castle to arrange an art event that will take place later this year with an amazing guest artist followed by a quick visit to a new gallery that has opened this week. I had taken work in previously so that it could be framed ready for the opening. Out of the collection my new baby owl looks so wonderful in the gorgeous frame that I must admit I nearly changed my mind to keep it! 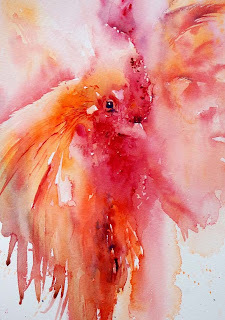 Next I returned to my studio and continued with washes for my new collection of cockerels. 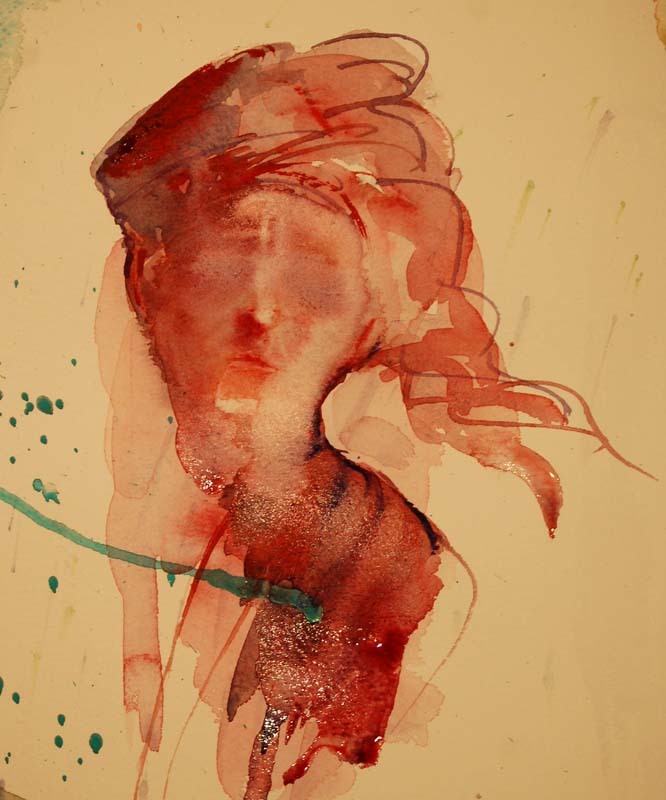 I am aiming for more than character this time, I want a feeling of life in each piece with new and dramatic interpretations of washes and water runs which I am advidly becoming a huge fan of. My work as ever is evolving to a point where I am finding it very difficult to pass on each new technique or approach as the complex layers and colour interaction play a huge part in the results. Knowing the properties of each pigment and how they "play" together is vital to the final effects also. This afternoon my washes are literally singing with life reflecting my happy mood. So much so that I couldn't resist sharing this wonderful one shared above that will tempt me all night and tease my imagination into where this painting is leading. In my mind I thought I knew what I was aiming for but this is far better than I had hoped for so my direction will change as I will allow the brushmarks and colour to guide my artists eye in the morning. 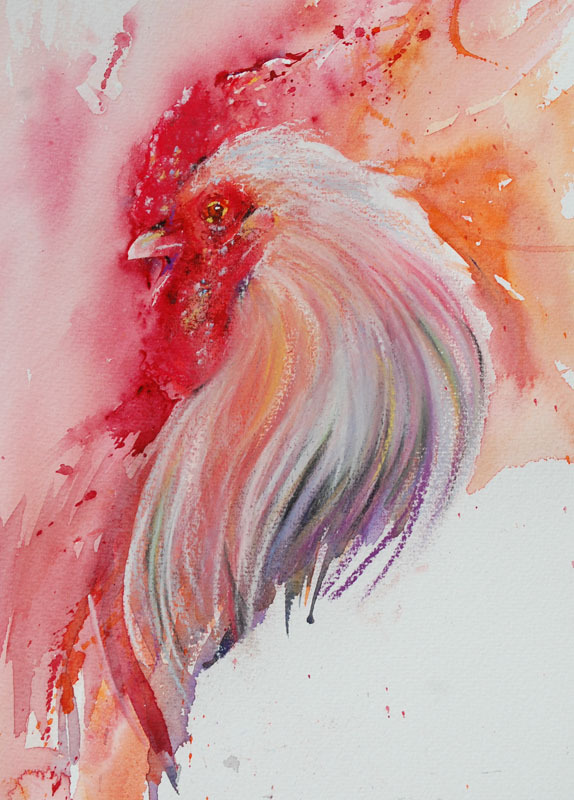 I have the sense to leave this alone for tonight and enjoy it as it is but I cannot wait for tomorrow to come,this will indeed be a very special cockerel! As I explained on my workshop last week. If you achieve something wonderful at any stage don't be in a race to move forward.Tarry awhile and love things as they are at each and every stage in a painting.That way the medium has a chance to tell you what it wishes you to do next. Listen to what it tells you! How to Paint Roses in a Loose Style. 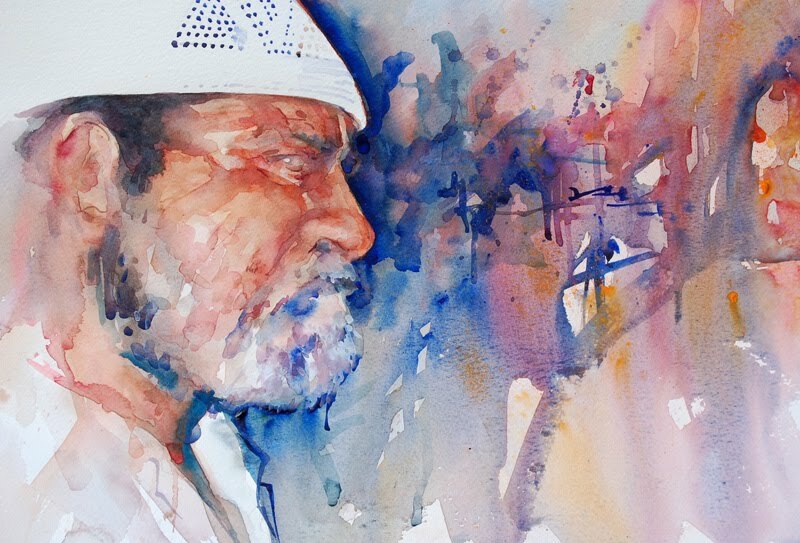 Capturing Life and Colour in Watercolour Studies.